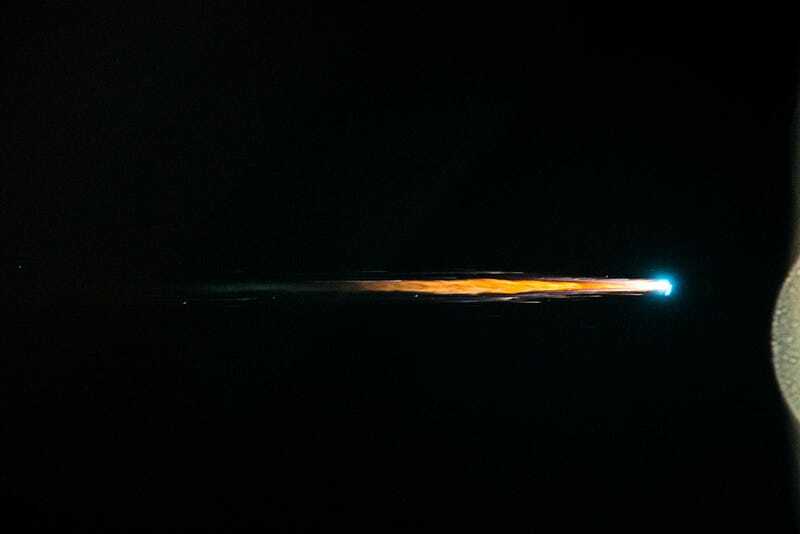 This image of the European Space Agency's Automated Transfer Vehicle "Albert Einstein" plunging into Earth's atmosphere Saturday was taken from the International Space Station. After undocking from the ISS last week, the "Albert Einstein" was maneuvered directly below the station so the crew could observe and collect data during the craft's re-entry. Image from here and more images here.